Republished from a press release – I’m so excited that more people will be able to try our awesome Michigan wines! (Ann Arbor, Mich) – Cherries & Grapes, a Michigan-based business, launched an online marketplace in August offering a variety of Michigan wine and specialty products. Consumers can now have their favorite wine, cider and specialty products shipped directly from Michigan producers on the CherriesAndGrapes.commarketplace. Likewise, Michigan businesses can now easily and safely offer their products online, with no upfront cost. Wineries and cider producers are now able to quickly get up-and-running with CherriesAndGrapes.com, complete with automated ID verification and logistics assistance. According to Michael Mikhjian, Cherries & Grapes Chief Technology Officer, a store can be online and processing orders in a day or two. Cherries & Grape’s first online retail store is Chateau de Leelanau, a Michigan Vineyard and Winery located just north of Traverse City on the Leelanau Peninsula. In addition to providing an online storefront, Cherries & Grapes also promotes its partners on various social media platforms and via other marketing channels. 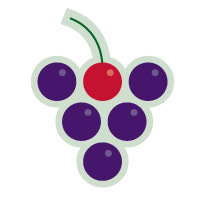 Companies interested in featuring their wine, cider and specialty products on CherriesAndGrapes.com should email: Info@CherriesAndGrapes.com.